Working with small businesses that are making a difference in the world is an honor! 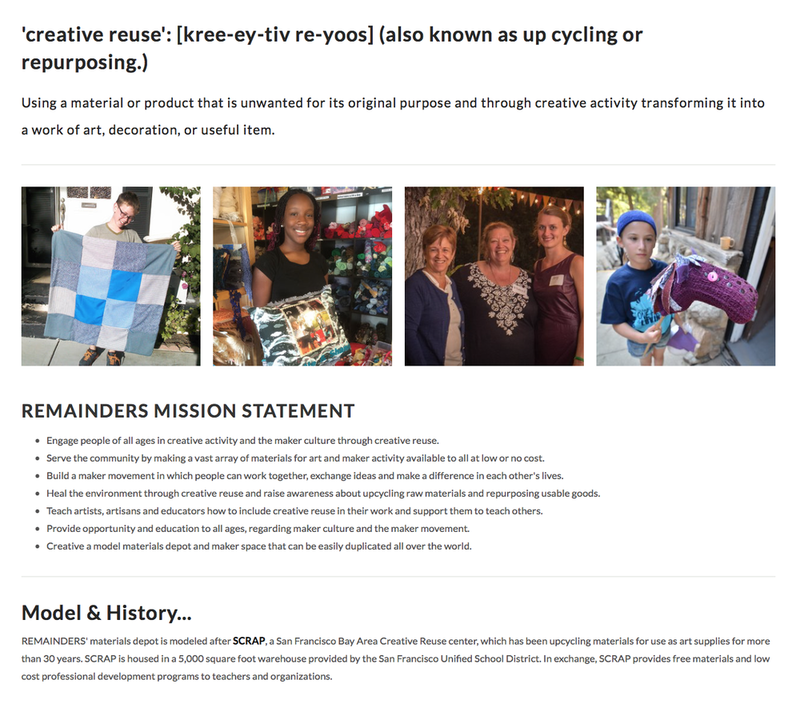 Remainders is a maker space located in the heart of Pasadena providing ongoing, low cost programs for all ages highlighting reuse, practical arts and creative skills in an open and diverse environment for the local community. We worked together to create a site that includes a calendar, class registration, an online store and unique forms for gathering information.